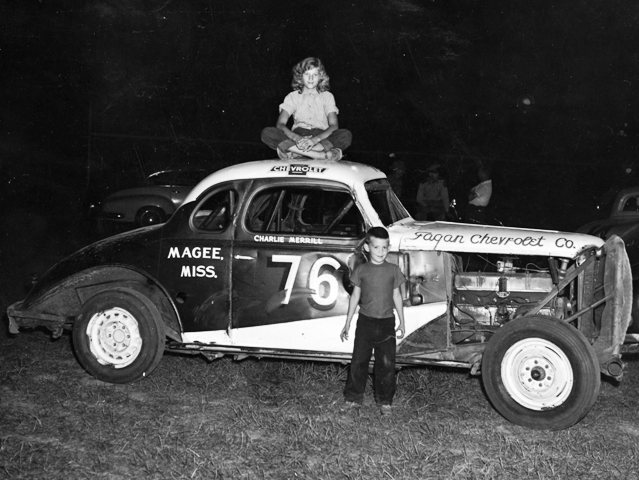 Dean told me that this is a later version of his Dad's first # 76 car. He doesn't know who the girl is but the boy is his brother Bruce Blackwell. The City Motor Company Oldsmobile had been closed and the franchise was taken over by Mr. Fagan. My dad had gone to work for Mr. Walter Fagan as GM.